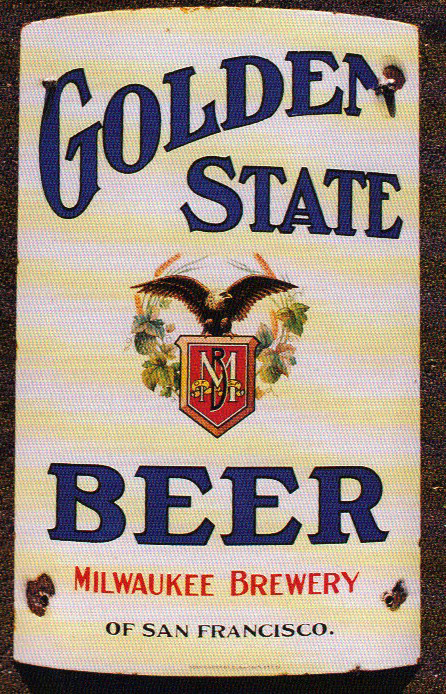 This is a rectangular curved Golden State Beer porcelain sign. This particular Golden State Beer sign is white with red and blue text. It reads, “Golden State Beer, Milwaukee Brewery of San Francisco” and features an eagle perched on a shield with flowers in the center.